Highly capable training and self-defense rounds. 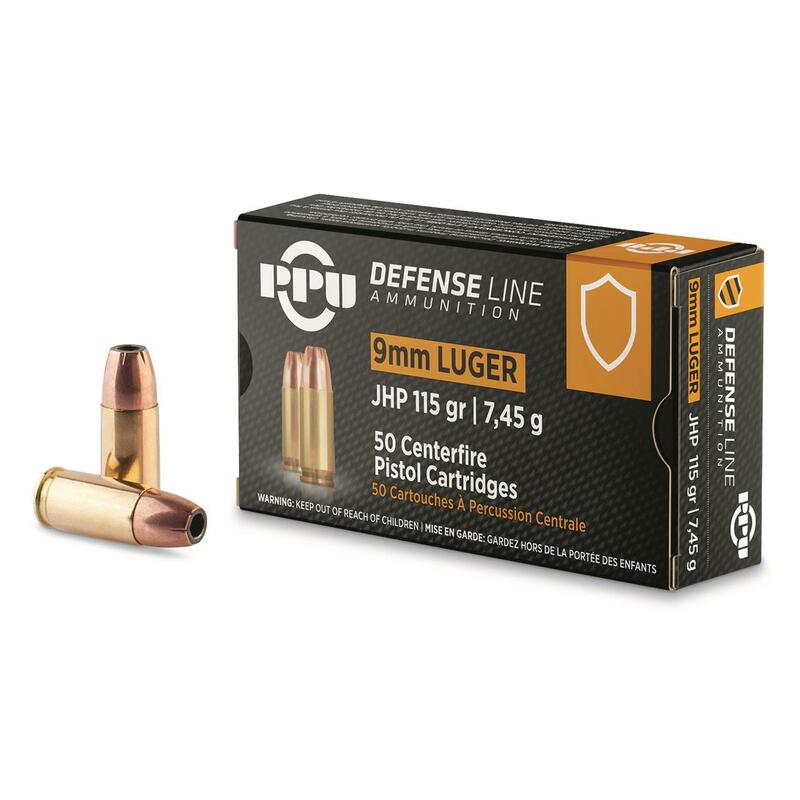 PPU Defensive Line Ammo is loaded with proprietary jacketed bullets that maximize stopping power by providing improved expansion and maintaining density. Made in Serbia by Prvi Partizan, a leading manufacturer since 1928. Whether you're a soldier, law enforcement agent, competitive shooter or citizen, PPU Ammo is good stuff, and highly affordable. New, boxer-primed, non-corrosive. Reloadable brass case. Get yours ONLINE now, before they're gone! 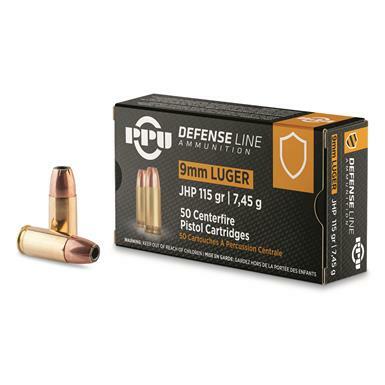 PPU Defensive Line, 9mm, JHP, 115 Grain, 50 Rounds is rated 4.9 out of 5 by 45. Rated 4 out of 5 by BigHungry from Good Price, Fast Shipping, What's not to like. They go bang when we they need to. Rated 5 out of 5 by G man from Great price for a HP. I have used regular in this brand. Worked great, and expect the same from this 115 Grain HP. Got to go to the range to test a few. Two clips HP Two Regular. Rated 5 out of 5 by Dave from All good I had good experiences with the .223 ammo and this 9mm was no different. For the price and quality, I have not found better. Rated 5 out of 5 by zig2 from ppu 9 mm ammo PPU is good ammo on problem. Rated 4 out of 5 by kenneth from great price Quick shipping and good price. Rated 5 out of 5 by reverend from PPU, 9mm Luger, JHP, 115 Grain, 50 Rounds Nice Hollow points for the sale price and free s/h. Ran 2- 15rd mags through my 9mm with no issues.